Cisco CISCO2851-AC-IP 2851 Integrated Services Router - router [CISCO2851-AC-IP] : AddVant LLC, IP PBX, IP Phones, WiFi etc. Based on 20 years of innovation, Cisco 2800 Integrated Services Routers extend Cisco Systems´ leadership in multi-service routing by providing customers with unparalleled network agility, performance, and intelligence. By transparently integrating advanced technologies, adaptive services, and secure communications into a single, resilient system Cisco 2800 routers offer simplified deployment and management, help lower the costs and complexities of your network, and provide enhanced investment protection. The integrated services routing architecture of the Cisco 2800 product family builds on the Cisco 2600 Series Multiservice Access Routers and adds embedded security processing, significant performance and memory enhancements, and new high-density interfaces that deliver the performance, availability, and reliability required for scaling mission-critical business applications in the most demanding enterprise environments. 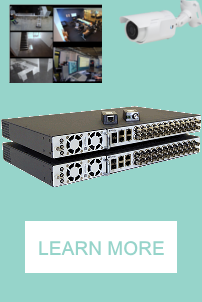 Cisco 2800 Series Integrated Services Routers are designed to meet both performance and density requirements for the delivery of secure, concurrent services for midsize businesses, small and medium-sized enterprise branch offices, and service provider managed services applications without compromising router performance. Cisco 2800 Series routers enable IP Communications solutions that are among the industry´s most comprehensive. From basic telephony to rich call processing, messaging, and automated attendant services, Cisco integrated services routers give customers the freedom to customize solutions to meet their individual requirements. This solution is ideal for customers who want to decrease organizational costs and complexity by converging their company´s voice and data networks.